Over the years, lives of women have changes dramatically. It is said that a woman’s well-being is directly proportional to the health of the family. In today’s busy world, women must not only be proactive in respect to maintaining their health but also get regular health checkups done as early detection of any problem can help early prevention and better treatment. Now a days, several compact heath check-up packages are offered by hospitals and diagnostic centres that help in keeping a track of healthy life. 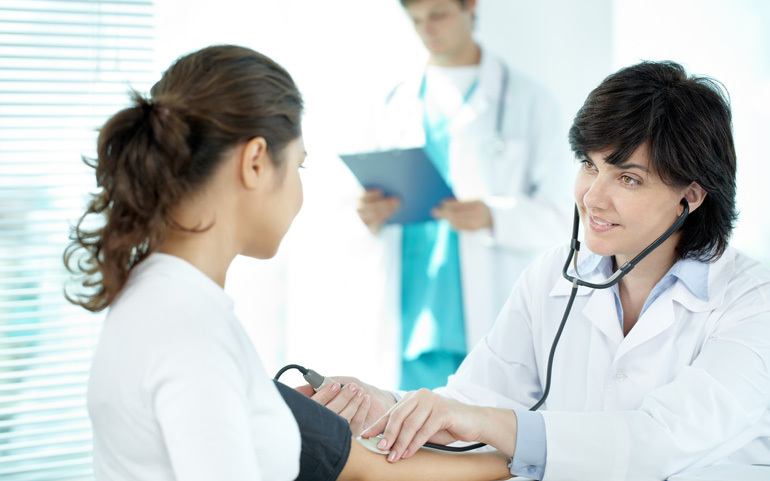 There are numerous health check-up packages especially designed for the women of today. Some of them are as follows:- • Breasts Heath Check-up Packages: The test in the package particularly focuses on examining the breasts for the presence of any lumps or masses, loss of weight / appetite and more. The breast health check-up packages include: Mammography Bilateral test, USG- Bilateral test and Ultrasound of both the Breasts. Why: Stress and lifestyle changes have put women at a higher risk of developing fatal illnesses. A disease like breast cancer is rising at an alarming rate. Therefore, it is remarkably important that every woman above the age of 40 years in the post menopause stage must undergo the tests. The prime reason being – the early the diagnosis of breast cancer or any other related problem can help get an early treatment and prevent the disease from increasing. •Complete Blood Count (CBC) package: A test for Anaemia, Blood cell count Haemoglobin. The package is very helpful and affordable as the tests give inputs on various counts relating to blood, including red blood cells count, white blood cells count and platelets count, haemoglobin level, etc. Why: If one feels fatigue and weak even after performing petty activities, chances are higher that the haemoglobin count has gone down. If one is suffering from constant attack by viruses’ thereby falling sick, chances are there that the WBCs which fight germs have gone down in numbers. Therefore, in order to stay fit and active, it is essential to get routine check-ups done. Low blood cells count can result in anaemia while high blood cells can cause disease such as bone marrow disease or low blood oxygen levels. While there is no such suggested time period or age to get the test done, one can get a complete blood count test done anytime. It is highly beneficial in all respects. •Ultrasound packages include examining stomach, the whole abdominal and pelvic region. Why: During pregnancy, an ultrasonography proves to be highly beneficial. It helps in mapping the shape of the uterus, and checks for abnormalities as well as fibroid growth. It also helps in assessing abdominal pain and diagnosing growth of tumours in the entire pelvic region. Additionally, an ultrasound test helps get a clear picture of many other essential parts of the body such as the breast, joints, etc. A variety of ultrasound health check-up packages are available at affordable prices. •Heart check-up packages contain cardiac stress analysis, pulmonary function tests, ECG, diet counselling, Echocardiogram, Apolipoprotein, Lipoprotein, cardiac consultation, 320 slice heart scan, stress tests etc. Why: These tests are very useful that reflect the underlying heart conditions by placing electrical sensing devices on the body in certain specific locations that measure the activities of the heart. A stress test helps in assessing the effectiveness of the heart medications to control various problems, helps in detecting the presence of coronary diseases and identifying abnormal heart rhythms. ECG, on the other hand, helps in the early detection of the occurrence of heart attack that may be in the evolving stage. It further helps in analysing smooth flow of blood in the heart, blood pressure level, presence of any blood clots and also maps inflammation in the heart. The author is a creative and proactive writer with an extensive experience in the field of web content development. He has been associated with many prominent companies – in India and abroad and has contributed immensely to the World Wide Web with his highly enlightening blogs and articles on health care topics such as health care checkup packages, GRF Tests, TMT Test, etc. which are published on a variety of platforms.